In its heyday, the Cuyahoga Wrecking company in Opa-Locka was one of the most active demolition contractors in South Florida. During the 1970s and 1980s the company, run by the Schwab family, dismantled as many as 275 buildings. And up until abandoning the property in the late 1990s, the ownership also haphazardly managed to leave behind mounds of toxic debris that festered for decades and ultimately befouled its soil. By 2010, the property at 1700 Service Road fell into the possession of real estate engineering and consulting firm Miller Legg Capital Holdings. The site was overgrown with vegetation, drowning in code enforcement liens and declared a public nuisance – creating a potential nightmare scenario for broker Reese Stigliano, who was tapped to sell the property. In fact, more developers and municipalities are now opting to take on remediation, amid a shortage of affordable land to build on, increasing incentives to clean up the property and a growing confidence from lenders to help fund development on brownfield and superfund sites. Recent data from the Florida Department of Environmental Protection shows a growing number of remediation agreements have been executed by developers and municipalities, particularly during the past two years. In 2017, 30 agreements were executed throughout Florida and in 2016, 39 property owners entered into agreements — marking the two highest annual volumes of agreements executed since the program’s inception in 1997. The agreements, called Brownfield Site Rehabilitation Agreements, or BSRAs, indicate property owners are endeavoring to remediate the site for public use, said Sandra Rezola, a principal for Miami-Dade’s Division of Environmental Resources Management. 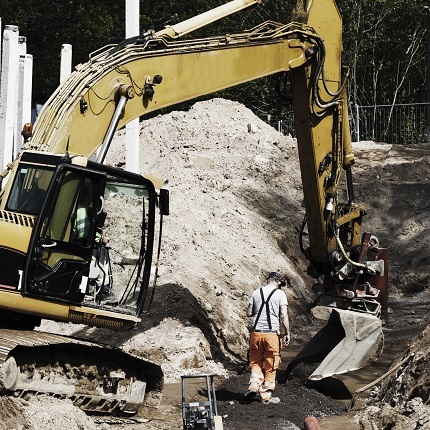 According to the Florida Department of Environmental Protection, a brownfield site is defined as a property to be expanded, redeveloped or reused that may be complicated by actual or perceived environmental contamination. Once the agreement is successfully completed, property owners are eligible for a slew of state and federal incentives, including a tax credit on cleanup costs and a sales tax credit on building materials for some redevelopment projects. The Environmental Protection Agency also offers brownfield grants for site assessment and cleanup. Just last month, to address a growing backlog of approved tax credits, the Florida legislature approved a one-time $8.5 million tax credit authorization, on top of the initial $10 million tax credit, which was just increased last year from $5 million. In the past two decades, since the start of Florida’s brownfield redevelopment program, scores of potential brownfield sites have been identified in Miami-Dade and Broward counties, mostly in neighborhoods with previous heavy industrial use like Wynwood. Cities with high numbers of brownfield sites include Pompano Beach, North Miami Beach and the city of Miami. A large number of brownfields are also in unincorporated areas in south Dade, according to the Florida Department of Environmental Protection. In all, there are a total of 460 designated brownfield areas statewide, including nearly 100 throughout Miami-Dade and Broward counties. In Miami-Dade, that adds up to 53,000 acres of designated brownfield areas and about 6,850 acres in Broward County. In the past 20 years, Goldstein said he has negotiated more than 70 BSRA amendments under the Florida Brownfields Program. Yet in the early 2000s, it was much more difficult to get anyone seriously interested. “It was met with skepticism at the very least,” Goldstein said. Adding some of the first agreements were executed by what he calls “accidental developers,” mostly consisting of local governments that acquired contaminated sites and had no other option but to try to get through the process successfully. Both lenders and governments worried about potential lawsuits and the high cleanup costs. But the early success stories helped pave way for more brownfield activity. Goldstein said active brownfield developers today include multifamily developer Zom Living, New World Equities and Walmart. Bank of America also is also a known lender for such projects. Yet insiders say selling a brownfield site still can be challenging, mostly because the term “brownfield” lends itself to the vision of serious contamination, sickly inhabitants and millions of dollars in cleanup costs. In the case of the Cuyahoga Wrecking site in Opa-locka, Royal Castle agreed to pay the city an additional $195,000 to release it from about nine code enforcement liens on the property. The company expects to invest about $2 million into the property, but Stigliano said it bought the site at a significantly reduced price. He said such a sizable property zoned for industrial use could “easily” go for upwards of $5 million. Other high-profile developments are being built or are planned on actual or perceived contaminated land. Melreese Country Club, where David Beckham and the Mas brothers are planning to build a a mixed-use soccer complex with a 25,000-seat stadium, is the site of a trash incinerator known as Old Smokey, and can have dangerous levels of arsenic and other carcinogens in its soil, Goldstein said. Museum Park, formerly known as Bicentennial Park, is the site of a former petroleum bulk storage facility. Today, the property is home to the Pérez Art Museum Miami and the recently completed Phillip and Patricia Frost Museum of Science. Even the Zaha Hadid-designed luxury condominium One Thousand Museum was built on a contaminated site, once occupied by a BP Gas Station. Remediation included removing underground storage tanks and piping. The 62-story tower, rising at 1000 Biscayne Boulevard, topped off this year and is being developed by a group that includes Gregg Covin, Louis Birdman and Kevin Venger. Kimco Realty Corp. and joint venture partners Terry Salzman and Robert Shapiro recently broke ground on phase two of its massive Dania Pointe shopping and entertainment center. The 102-acre mixed-use development, which will include two Marriott hotels, a Lucky’s Market and 18 restaurants, was once a former industrial sand plant that sat next to a decommissioned 3,200-foot wooden roller coaster. Developers Richard LeFrak and Jackie and Jeffrey Soffer are also aiming to transform a 183-acre landfill site, east of Biscayne Boulevard. The project, SoLe Mia, is slated to bring 12 residential buildings totaling 4,390 units with more than 1 million square feet of commercial space.